Bank Nifty again opened higher at 23817 and further bounce to register new all time high 23938 and finally closed 193 points up at 23888. 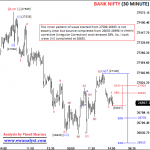 Yesterday, bounce towards 23735-22867 was expected and 23660 was stoploss for longs. Our trading strategy was to buy 13 July 23600 call in 23689-23660 range with stoploss of 23630 expecting same targets 23735-23867 but Bank Nifty opened higher at 23817 and achieved target at opening only without giving chance to buy. Now, we need to analyze latest chart to find next move. 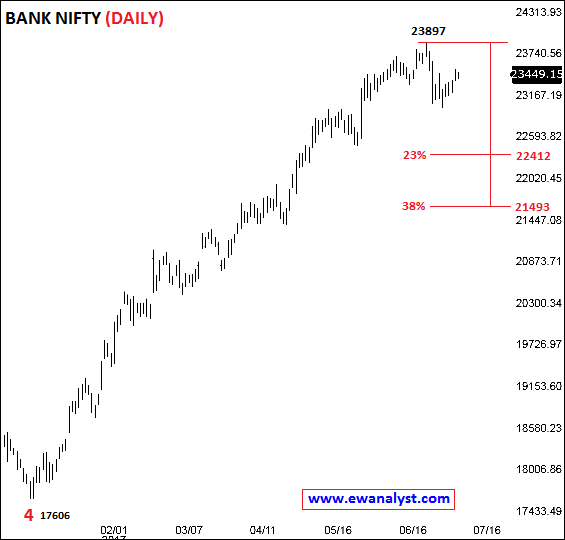 This is daily time bar chart of Bank Nifty covering bounce from 17606 to 23897. This is the same chart with explanation which I posted in my yesterday’s report because there is no change in wave counts on this chart. I have not marked any wave count on this chart because bounce is very steep without any reasonable correction. 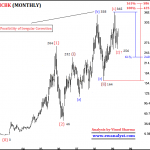 I am showing this chart just to calculate Fibonacci retracements. Normal 23%-38% retracement of this whole steep bounce (starts from 17606-23897) is placed at 22412-21493 which is the expected targets range on downside if any bigger correction is started. Now, we need to analyze the move after previous high 23897 to calculate short/medium term outlook and levels. 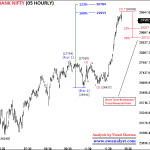 This is 30 min time bar chart of Bank Nifty covering move from all time high 23897. The downward impulse was completing from 23897-22995 and I was expecting this impulse as wave (A or 1). But start of this downward impulse (previous high 23897) is broken. 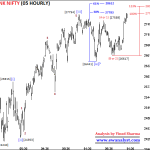 So, may be some type of corrective pattern is completed at 22995 and new impulse may have been started from 22995. So, there will be slight change in wave counts within the bounce started from 22995. 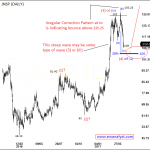 Earlier I was marking this bounce as wave (B or 2) but now we need to mark it as new upside Impulse. So, may be wave (1) completed from 22995-23330, wave (2) may be completed at 23163 as an irregular correction and wave (3) may be in progress from 23163. 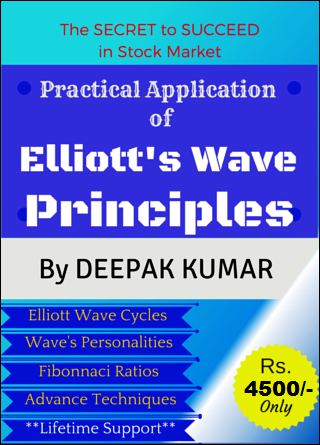 And within wave (3), it seems wave completed from 23163-23286 may be wave (i), wave completed from 23286-23196 may be wave (ii), wave completed from 23196-23720 may be wave (iii), wave completed from 23720-23523 may be wave (iv) as an irregular correction and wave (v) may be in progress from 23523. Wave (v) already achieved its 61% projection placed at 23867 where as next 100% placed at 24080 which may or may not be achieved. Wave (v) of (3) achieved its normal projection so now we need to see if its pattern is completed or not. 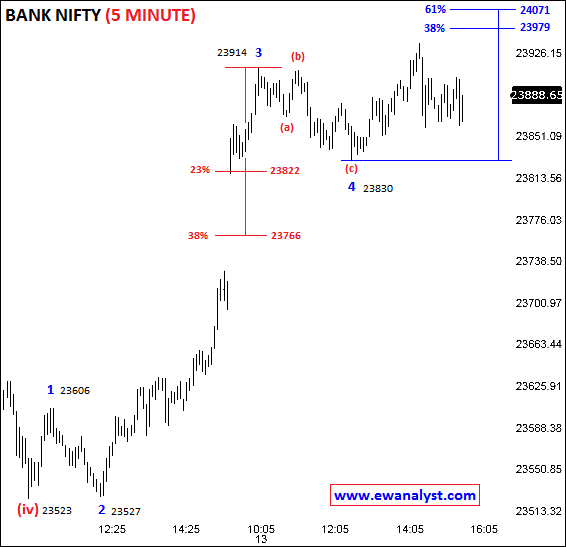 Let’s have a separate look on wave counts of Bank Nifty on separate 5 min time bar chart from low 23523. This is 5 min time bar chart of Bank Nifty covering move from low 23523 which is a start of (v) of (3) in previous chart. It seems wave completed from 23523-23606 may be wave 1, wave completed from 23606-23539 may be wave 2 and wave completed from 23523-23914 may be wave 3 and wave 4 may be completed at 23830 or still running. 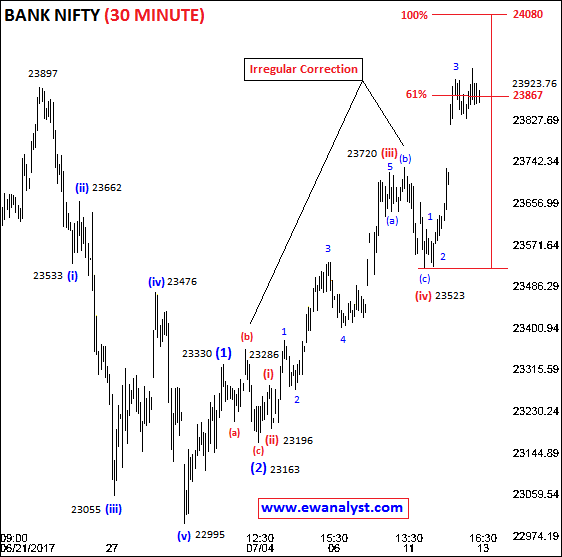 If wave 4 is already completed at 23830 the minimum 38%-61% projection for wave 5 is placed at 23989-24071 which is minimum targets range on upside. 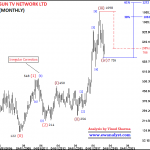 Normal 23%-38% retracement for wave 4 is placed at 23822-23766. So 38% retracement 23766 is breakeven point on downside and same can be referred as stoploss for longs for short term. Bank Nifty broke previous all time high 23897 and registered new all time high 23938 today and there is slight change in wave counts because of this breakout. Now, outlook is still bullish for short term and Bank Nifty have possibility to bounce further towards 23989-24071 and can extend further higher because completion of wave (3) followed by (5) is still pending within the impulse started from 22995. 23766 is breakeven point on downside which we can refer as stoploss for longs and 23822-23766 is the range for where we can expect bounce back again for new high. 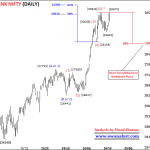 Short Term outlook of Bank Nifty is positive so short term trading strategy must be “Buying on Dips”. 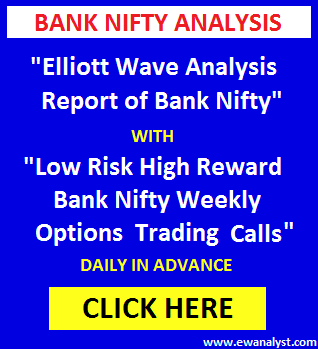 So, safe trading strategy would be to buy Bank Nifty 20 July 23700 call if get in 23800-23766 range using exact stoploss of 23739 (some points below 23766) expecting minimum target range 23979-24071. Nifty also have possibility to bounce straightway from present levels but Risk Reward in this case will not be good because minimum targets 23979 is very near. 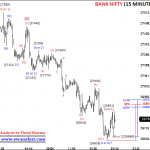 And shorts can be planned only if Bank Nifty breaks below breakeven point 23766 after confirming with the pattern.